While the crown itself does not need any specialized care once it is in place, remember that simply covering the tooth with a crown does not mean you can just neglect it. It is important to follow normal dental care steps each day- brushing three times, flossing at least once, using quality toothpaste and mouthwash, and keeping all dental appointments and cleaning sessions. 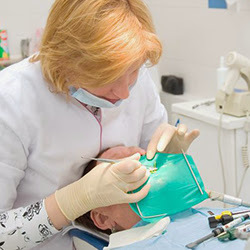 To get the dental crowns in Houston, TX that you need, consider setting up an consultation appointment with dental clinic in Houston.